This was from 2009 when I went to Florida. 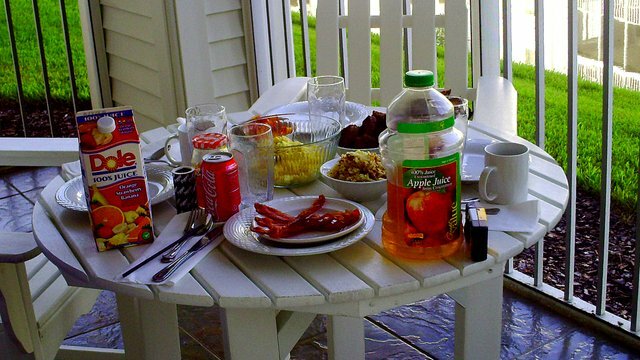 We have some breakfast on the patio. There was a screen so no worries about bugs or critters getting into the food. It would have been cool to have someone my age on the trip. Hello aaliyahholt, welcome to Partiko, an amazing community for crypto lovers! Here, you will find cool people to connect with, and interesting articles to read!